Flingo publishes apps for connected TVs and, thanks to a partnership with online video ad platform Adap.tv, those apps will soon be capable of carrying ads. The deal, announced today, brings Adap.tv's ad-serving solution Adap.tv for Publishers, to Flingo's portfolio of apps. Content owners will be able to tap the ad platform, which serves ads and provides yield optimization to multiple screens. Content owners will also enjoy direct access to the Adap.tv Marketplace, which includes over 2,800 sites and hundreds of brand name buyers. The idea is to help content owners take advantage of the growing demand for advertising on premium content across multiple screens. "The video landscape is moving beyond the single screen and advertisers in the Adap.tv Marketplace are increasingly asking for access to inventory beyond the Web," says Sean Crawford, vice president of emerging platforms at Adap.tv. "Adap.tv is the only video advertising platform that connects buyers and sellers in an efficient, completely transparent way and working with Flingo expands our footprint to any type of video offering." 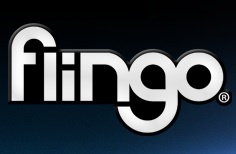 Currently, dozens of TV networks and studios, such as CBS, FOX, Warner Brothers, TV Guide, and Showtime use Flingo's application framework. Flingo's apps appear on connected TVs from Vizio, Samsung, LG, Google TV, and more. "Emerging media brands and major media companies alike are streaming their premium video content to millions of Internet-connected TVs using Flingo. They need a partner to help them leverage the connected TV footprint and execute impactful ad campaigns that reach a growing number of viewers," says Alvir Navin, vice president and co-founder of Flingo. Aiming to blur the lines between standard and connected TV, Flingo offers second-screen without the apps. Smart TV app company now counts $8M in Series A funding, plans global expansion. Smart TV app-maker will improve system for recognizing broadcast content in real-time. Investment will be used to grow internationally and improve the company's technology platform. Ad marketplace company debuts platform for running and managing online video advertising campaigns. Partnership brings thorough consumer data that advertisers can use to target the right audience. Advertisers will get more effective returns, thanks to partnerships in the suite.